Recently on March 3, LHU took place the 6th Consortium Meeting of the Program on HRD in Manufacturing Industry sponsored by the Japan International Cooperation Agency. Representatives of enterprises in dialogue with an official of LHU Faculty of Mechatronics - Electronics on Japan's training program. The program has been signed by Dong Nai Province and the Kansai Bureau of Economy, Trade and Industry since 2013 to promote economic cooperation between the two sides. This program has ended the first phase in 2017 and been continuing to implement the second one. In particular, Kansai continues to focus on supporting Dong Nai to develop auxiliary industries, cooperation in the field of environment and fuel saving, human resources supply and training cooperation for the industry. 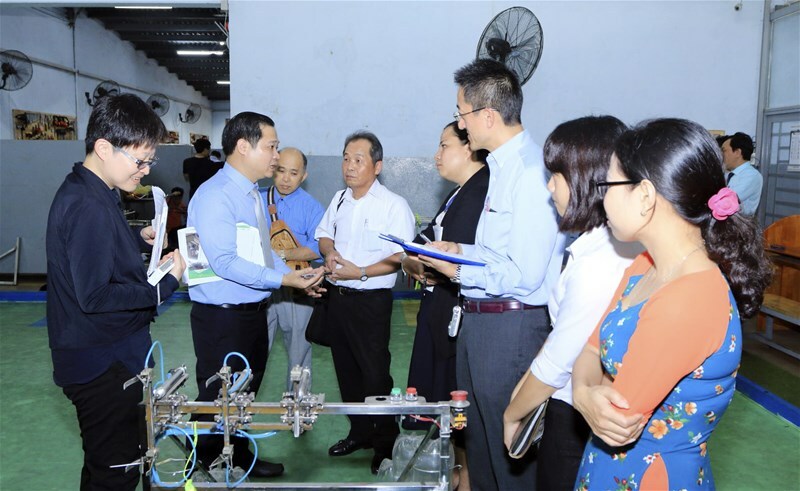 Japan's partners visited LHU Robot Workshop and exchanged the training program of Japan. Experts of Japan directly interviewed students of LHU at Robot Workshop. 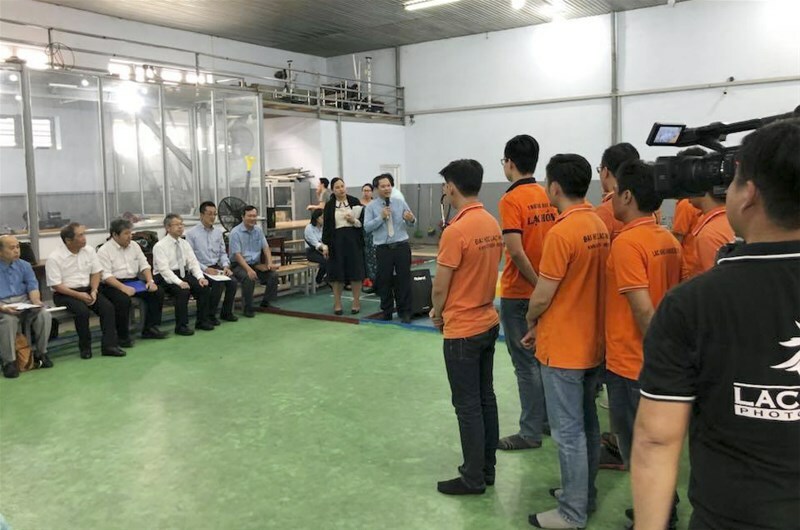 To date, the Japan International Cooperation Agency has sponsored the two schools to establish labor safety labs with many modern machines according to Japan's standard 3S.